Finally I took some time off work and went for climbing. Three days ago, after 34 hours in a train I arrived in Getu. I took a risk and decided to come alone. 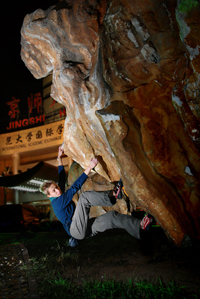 I was hoping to find some strong climbers motivated to try hard multipitches in Great Arch. In my worst dreams I ended up on some easy crags and just enjoyed being outside. But it seems I am not the lucky one. After one and half day of climbing with nice people from Taiwan and the couple from USA I ended up completely alone. 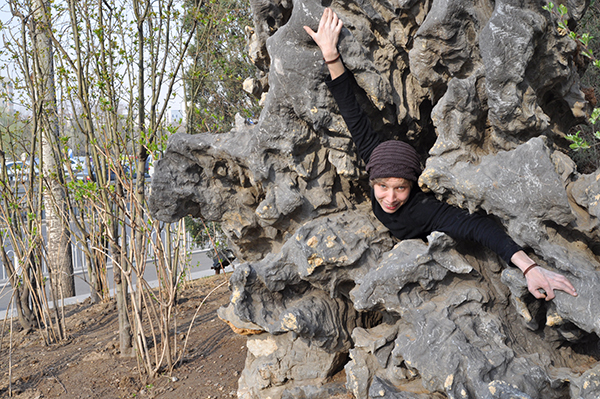 Yesterday I went to the cave village ZhongDong (It was awesome) but there is not too much to do here today. 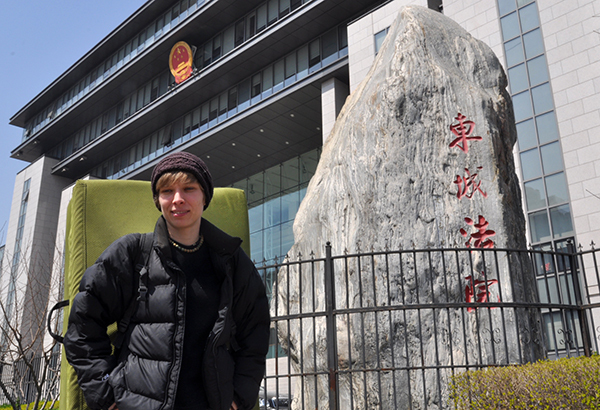 I’m going to wait another 2 hours and if nobody show up I will just move to the bouldering area near Dali in Yunnan. Keep your fingers crossed. 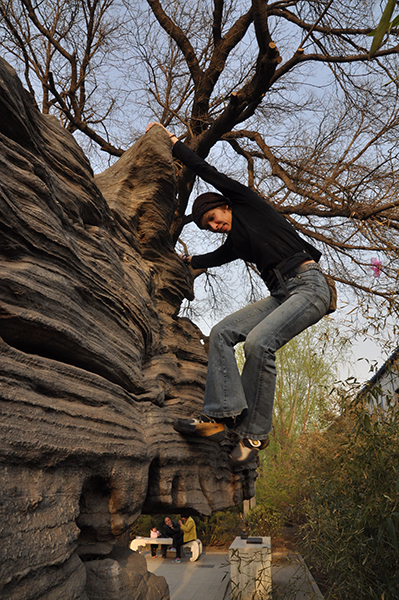 The good thing is, I have some spare time, so I can work a bit on BeijingBoulders.com. 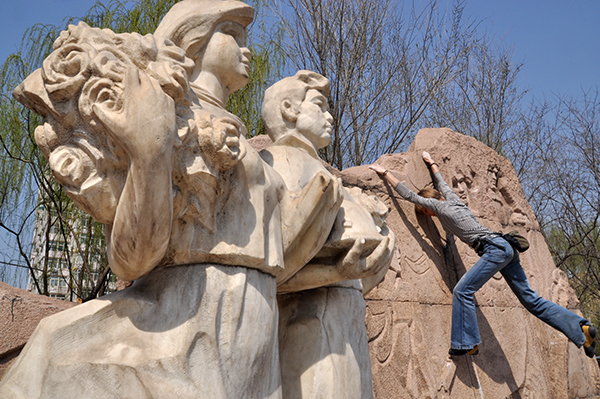 I published 4 new problems today (Temida, Crossroad Theatre, Little Friend, Flowers for Mao). In my opinion – all nice. 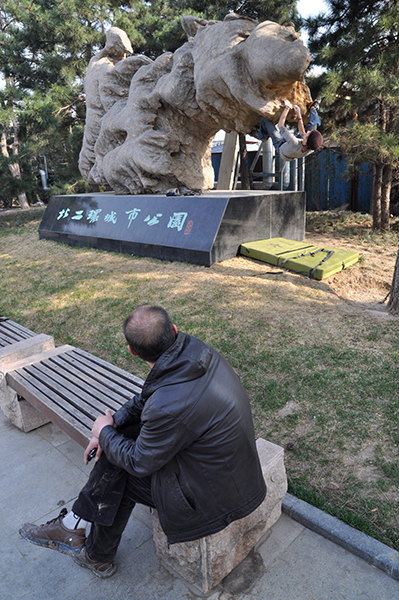 Two are the first roof boulders in Beijing I have found, Flowers for Mao is not really a stone but more like a monument. Temida have very challenged access. Enjoy! I feel a stress. 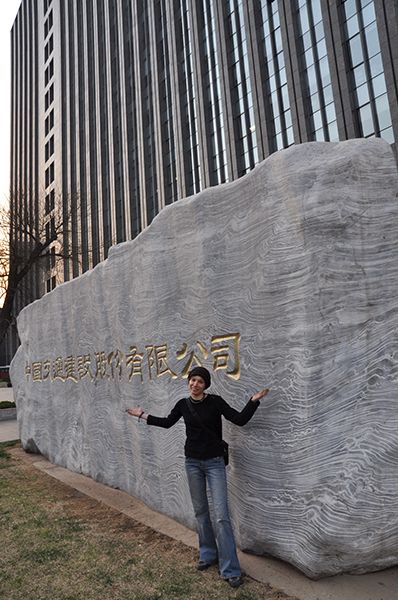 Yesterday I have published the BeijingBoulders.com. Website is still not perfect but let’s do everything step by step. Right now we have group on a Facebook and soon also on a Weibo. For the first 48 hours website had almost 1320 visitors. Just five minutes ago I also advertised it on my blog (http://olaprzybysz.wspinanie.pl/blog/). Takako is working on a movie. I really, really hope that you like it.